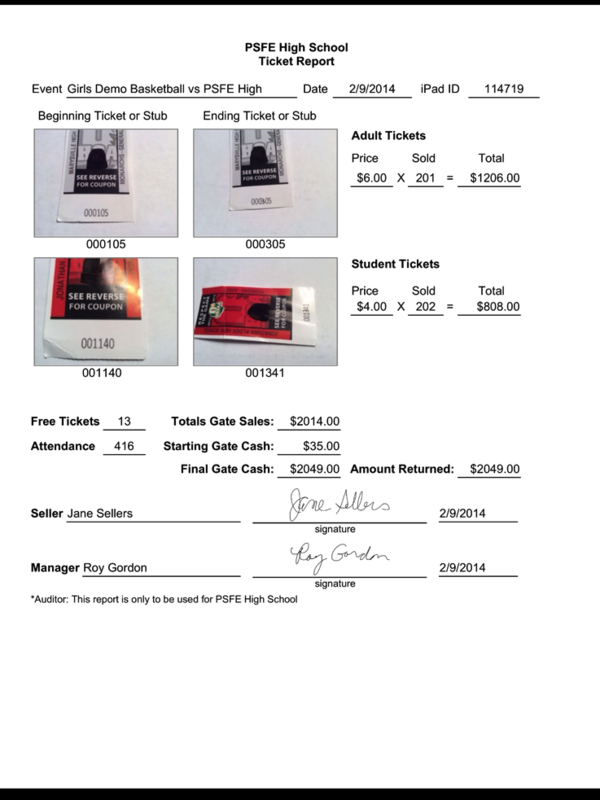 A state athletic association stated, "Ticket inventories should be closely monitored and accounted for by periodically conducting a physical inspection of the tickets and comparing the last reported ticket sold to the number present on the roll and the colors of tickets remaining in the inventory." 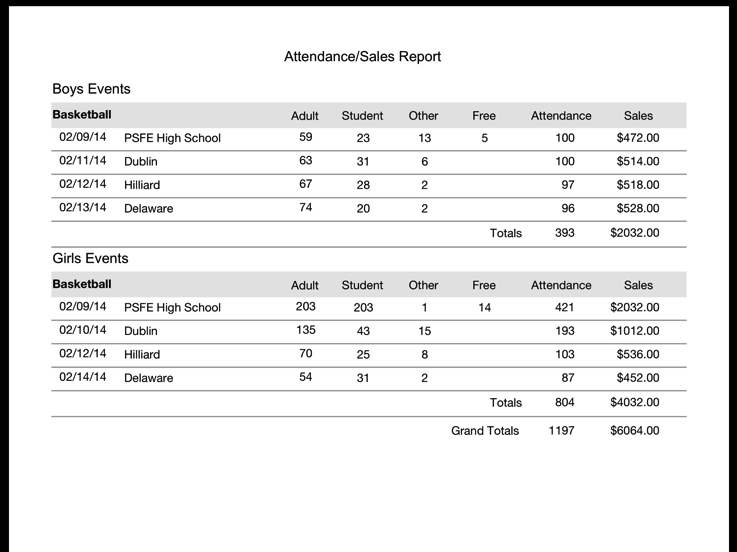 Ticket Manager on the Go is the perfect tool to assist in managing your ticket inventory. You must have FileMaker Go 16 or 17 installed on your iPad to use this solution. If you don't have FileMaker Go installed on your iPhone/iPad, FileMaker Go 16 or 17 is a free app on the iTunes App store. After installing FileMaker Go 17, the App will open with a tour of FileMaker Go. If you want to close the tour, tap on the circle icon or folder in the upper left corner and select Close File. Tap the blue Download Ticket Manager on the Go link. The download should take around 10 to 20 seconds but might take longer due to slow internet speeds. After the file downloads, click Open in FileMaker to finish the download process. FileMaker Go 15 or 16 must be installed from the iTunes store on your iPad before you can successfully download Ticket Manager on the Go. 1. Download the install_ticket_manager.zip file to you computer by clicking on the Download PC version link. 1. Download the install_ticket_manager.zip file to you computer by clicking on the Download Mac version link. 3. After installing the folder double click the Ticket Manager on the Go app inside of this folder. You might get a error message the first time from the Mac Security about not be able to open the App since it did not come from the App Store. If this happens, hold down the Control key and click on the Ticket Manager on the Go App. Then click open. You should only have to do this once. 5. 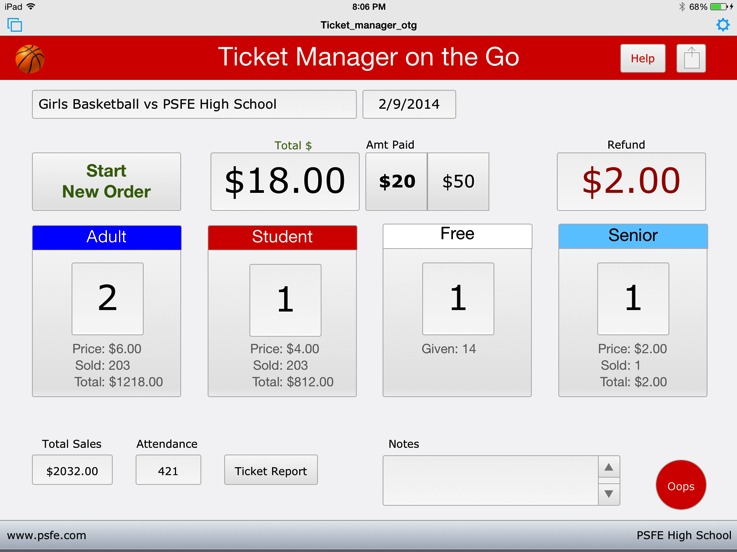 You can make an Alias of the Ticket Manager on the Go app to place on your desktop for easy access. Do you have a question about Ticket Manager on the Go?